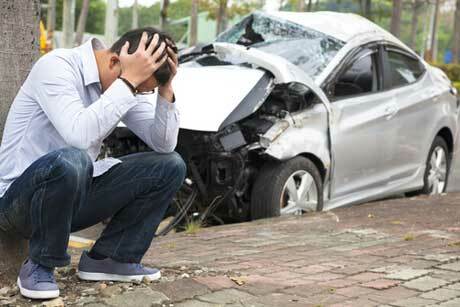 Young and inexperienced drivers are at higher risk for collisions. Dr. Samer H. Hamdar, an assistant professor in GW’s School of Engineering and Applied Science and director of the Traffic and Networks Research Laboratory, hopes to create a safer driving environment, especially for these young and inexperienced drivers, by applying his research in collision prediction and vehicular control to develop a hazard-based driving behavioral model. A validated model will contribute to safer traffic networks through development of passive and active driving assistance systems. The grant was awarded through NSF’s Faculty Early Development (CAREER) program. “CAREER is one of the most competitive grants awarded by the National Science Foundation to faculty members who are in the early part of their academic careers. Prof. Hamdar's great promise for significantly contributing to the field of transportation safety throughout his career is a key reason for his selection to receive this award,” said Dr. Majid Manzari, Chair of the Department of Civil and Environmental Engineering. Awardees need to “exemplify the role of teacher-scholars through outstanding research, excellent education and the integration of education and research within the context of the mission of their organizations. During the five-year grant research period, starting in June 2014, Hamdar will serve as the principal investigator on the grant studying collision prediction and vehicular control. The goal of his project is to predict freeway vehicle-to-vehicle collisions in terms of frequency and type and to specify the pre-collision and post-collision maneuvers that improve traffic mobility and safety. The process of modeling an accurate tool is complex and incorporates concepts from the fields of economics, psychology and engineering. The proposed model includes creating a series of episodes where the driver accelerates or decelerates, resulting in a set of preferences. The model captures risky behavior and collisions. Once collisions occur, elements of the model capture the vehicular post-collision movements. “High-school and university students constitute one of the most vulnerable driving populations to traffic injuries and fatalities. We would like to create a safer driving environment for the future generations of this country. With the latest research developments in modeling, detection technologies and computational capabilities, a collision free roadway network is not considered a dream anymore. Our objective is to help make a zero-incident network a soon to be realized reality, said Hamdar. Hamdar and his team of three graduate students (and several undergraduate interns) will develop the resulting hazard-based driving behavioral model by integrating the driver's preferences with vehicle dynamics. The model will be calibrated in real-time using data collected through an instrumented vehicle, a 3-D driving simulator and a virtual laboratory environment. 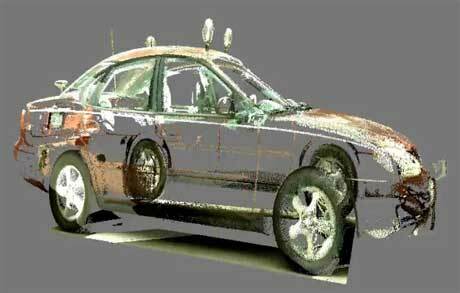 • Instrumentation Vehicle: A 2001 Ford Taurus has been outfitted with special instruments that detect the cars’ surroundings and help the driver make better decisions. • 3-D Driving Simulator: The Driving Simulator Laboratory houses a real car that will be used to collect data from drivers in a safe and controlled laboratory setting. The driving simulator is used to conduct research with the primary goal of avoiding crashes and collisions on the road. • 3-D Driving Challenge Space: A new virtual reality lab will be constructed to accommodate a group of ten students “driving” in the same virtual space, each with their own steering wheels, acceleration pedals, and gear shifts. Data will be collected to calibrate the model by capturing the interactions between the students as they drive individually and race each other in different simulated environments. The lab will also be educational for young drivers. Additionally, the research project incorporates a community engagement and education component. High-school and university students in the Greater Washington Metropolitan Area will have the opportunity to be involved in the data-collection process and related-educational activities. For example, educational activities for high school students will include a hands-on workshop as part of VSTC’s annual Science, Technology and Engineering Day for Loudoun County Public School’s advanced science students. Other activities, including field trips to schools, traffic safety workshops, and educational collaborations with other organizations are in the planning stages. While this five-year grant period is just getting ready to start, the potential outcomes are exciting. A simulation tool will be developed to test different pre- and post-collision maneuvers that lead to safer and more efficient freeway traffic networks. A successfully validated behavioral model will also help in the development of passive and active driving assistance systems, which increase the driver’s responsiveness and provide a safer driving environment, especially for young drivers.